Some people may believe that Mostar is an ordinary tourist destination, with a small bazaar and a beautifully rebuilt bridge. But the longer I lived there, the more the ordinary character of this small city became an extraordinary place. My very first visit to Mostar in 2009 was a rather typical experience. I took the intercity bus, traveling from cool foggy Sarajevo to the hot dry Mountains of Herzegovina. The shock of the landscape as it passes into Herzegovina remained with me for four years. The rugged mountains hit the blue -green river without any break. The bus station driveway was bleak, and hot. I remember looking up at the arid dry mountains, and heading the wrong way to find myself on the former front line. 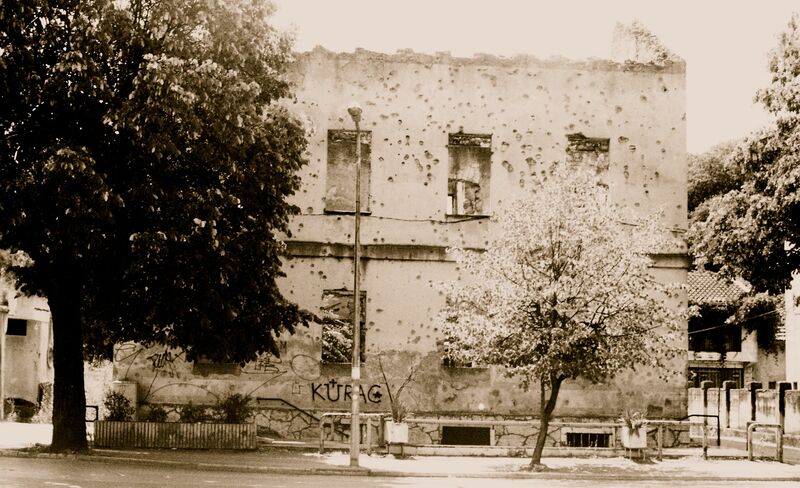 The shock of seeing broken bombed buildings stuck with me. I recrossed the bridge and headed south to the Stari Most. The bridge was beautiful white, glimmering in the sun, with tourists crowding the bridge. Above me, I could see the Hum Mountain. 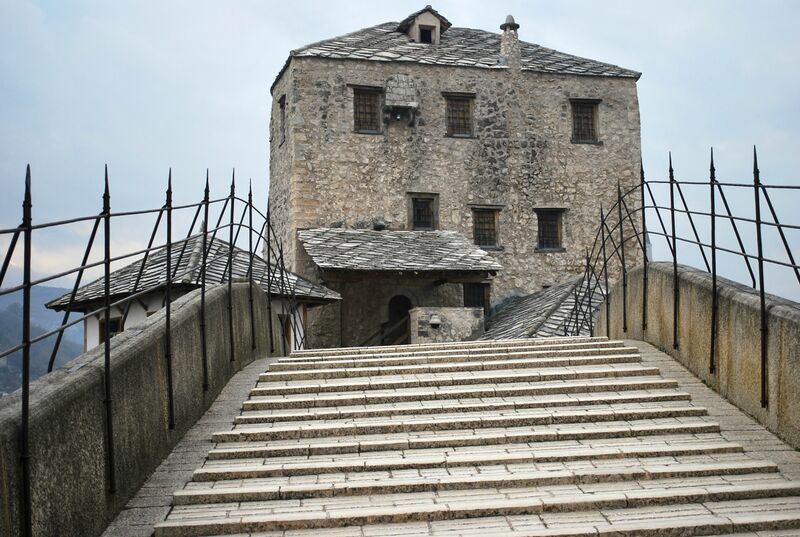 When I returned to Mostar in 2013, I quickly discovered the extraordinary about this very ordinary southern city. The bridge on a rainy Sunday has a character that vibrates. 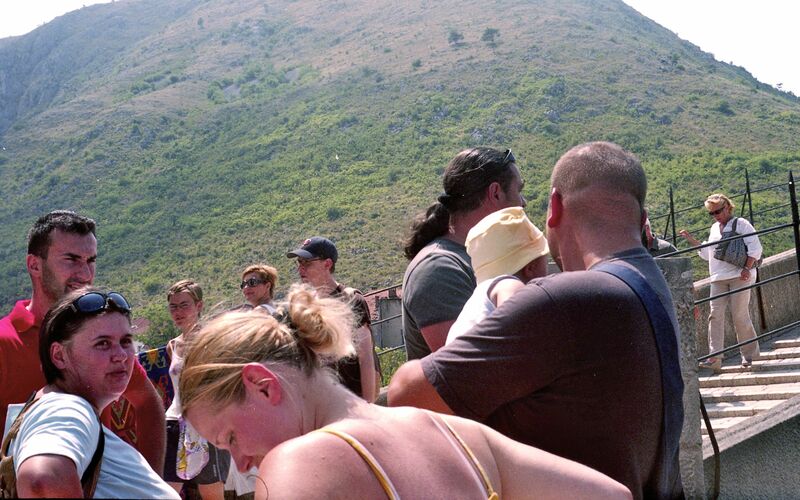 This entry was posted in Uncategorized and tagged mostar, Stari Most, tourists. Bookmark the permalink.